Do you want an online cloud backup with storage of 100GB for Free, you can grab one now. This offer is a time limited one. Backups of your valuable files can be life savers. It is always better to have an online cloud backup. Zools offers affordable cloud backup option. it is running on the reliable Amazon cloud. Now you can get a free 100GB storage from them. 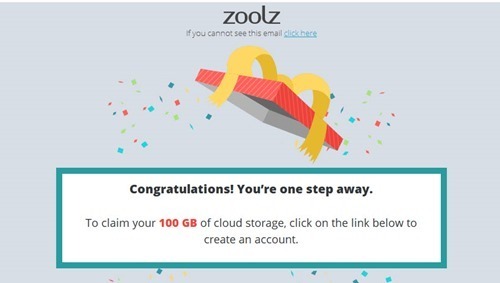 Zools is giving away 100GB cloud storage which is free for life time to the first 100,000 users. If you are interested you can submit your email address here. You will receive an email with a confirmation link. If you want you can purchase more space, 50 GB of additional storage for one year will cost $19.95. Free 100 GB cloud backup for Life time, Limited time offer. 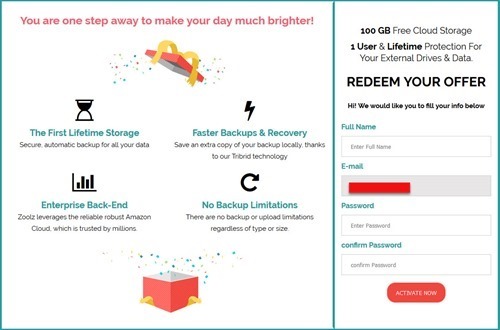 Get 100GB free cloud storage space for Lifetime.